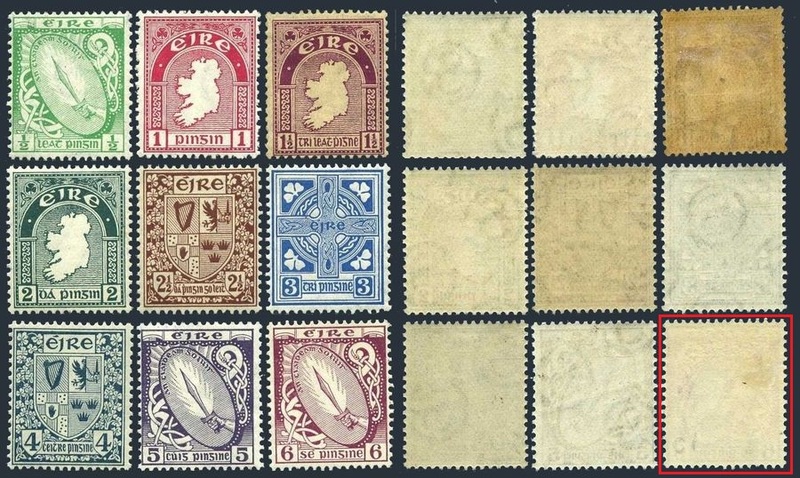 The 1922 definitives of Ireland lasted for some 45 years in which quite naturally various types of paper [and watermarks] were bound to be used. 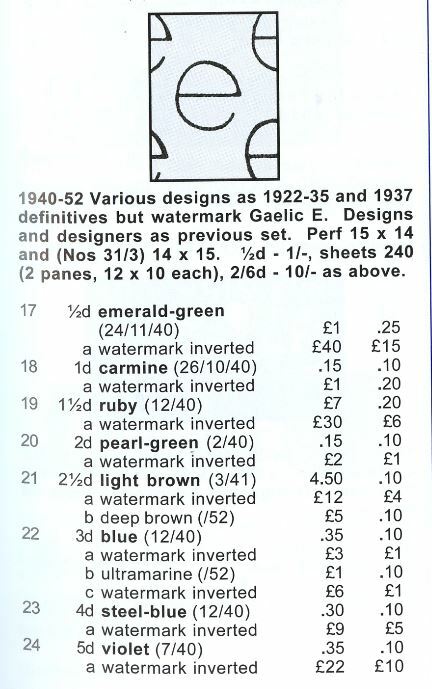 What is extremely good in Stanley Gibbons is the mention of the sizes of the watemarks! But the explanation is partly rubbish. 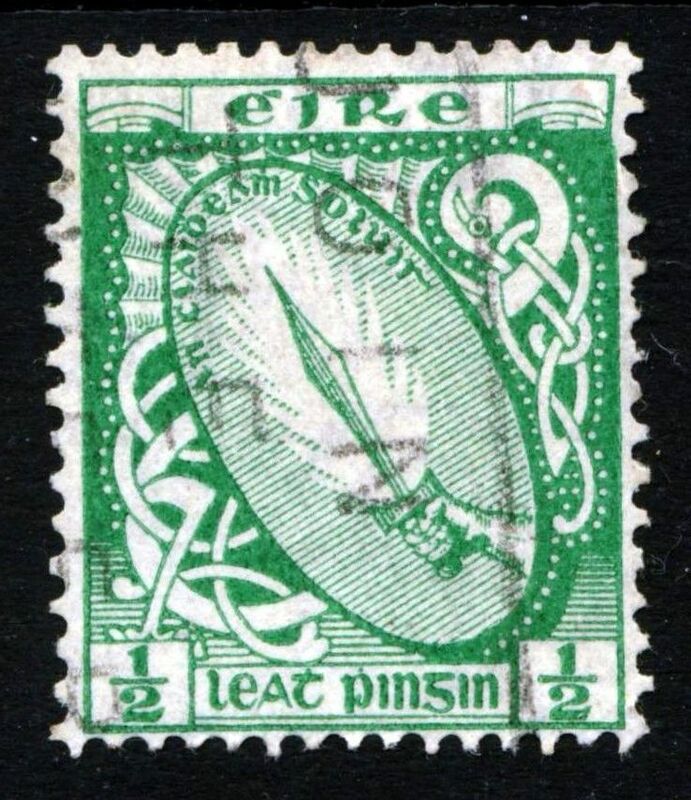 Shrinkage, pressure or speed have nothing to do with it OR it should be mentioned with ALL watermarked stamps. Slight variations in size or shape are rather due to inaccurate shaping of the pieces of metal fixed to the dandy roll. 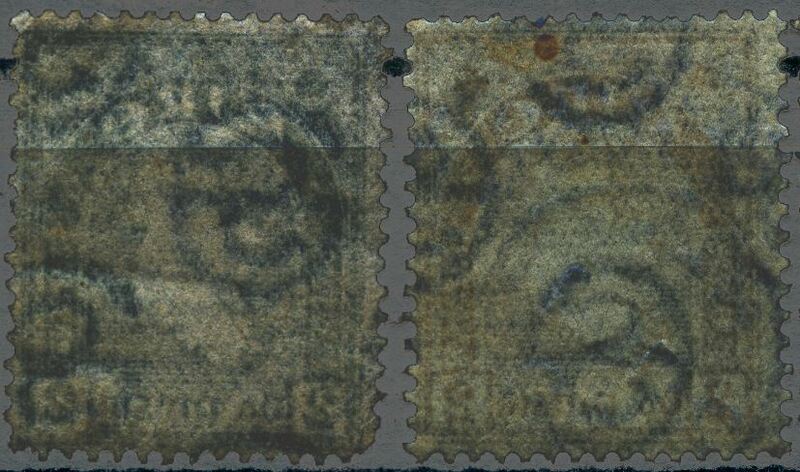 Maybe 2 dandy rolls had been used but why not list the stamps that have the corresponding waterma? There is no mention of different types of paper in other publications! 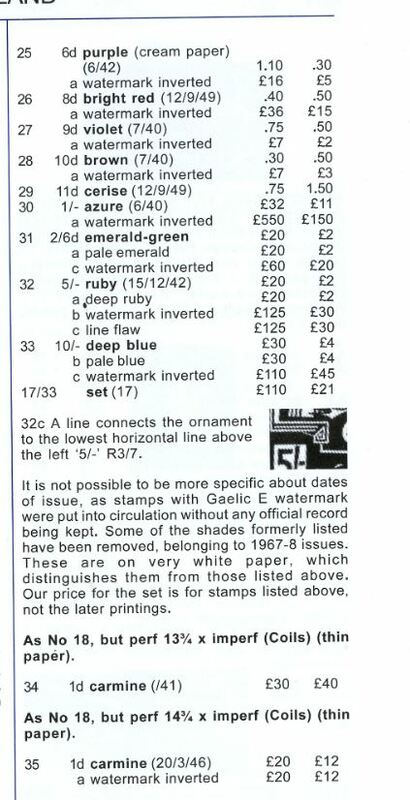 Murray Payne mentions the use of "cream paper" for the 6d! 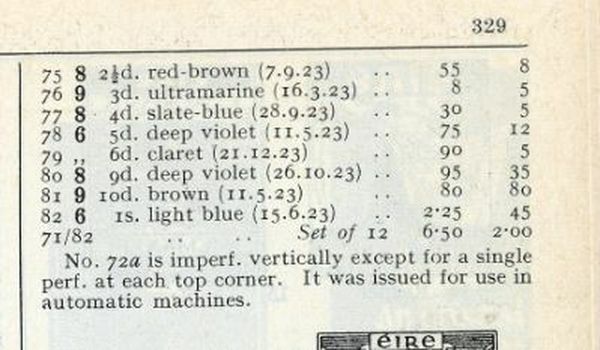 But not for the higher values 2'6,5'and 10'. 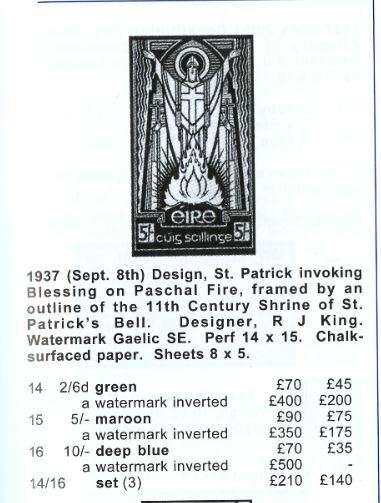 In these series the discussion of what is chalky paper is avoided! 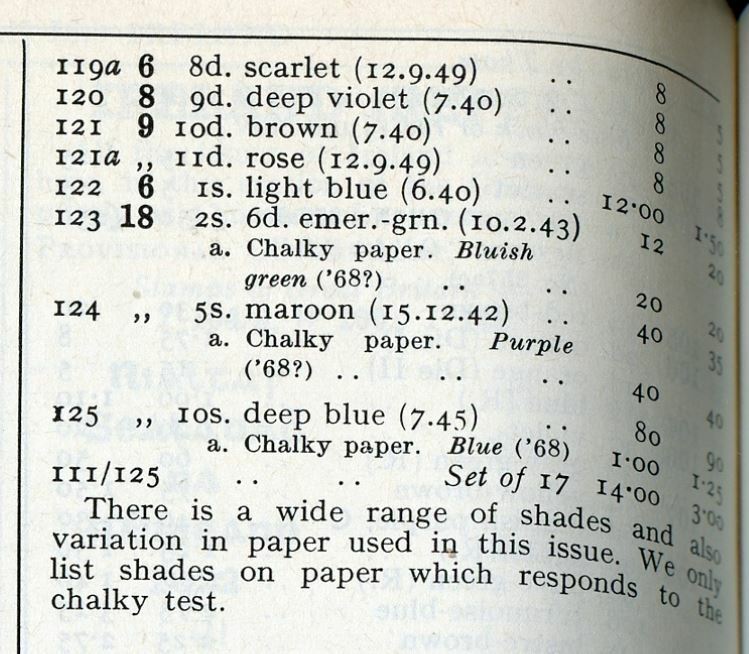 Stanley Gibbons "locuta est" that only coated papers that react to the "chalk test" is chalky! 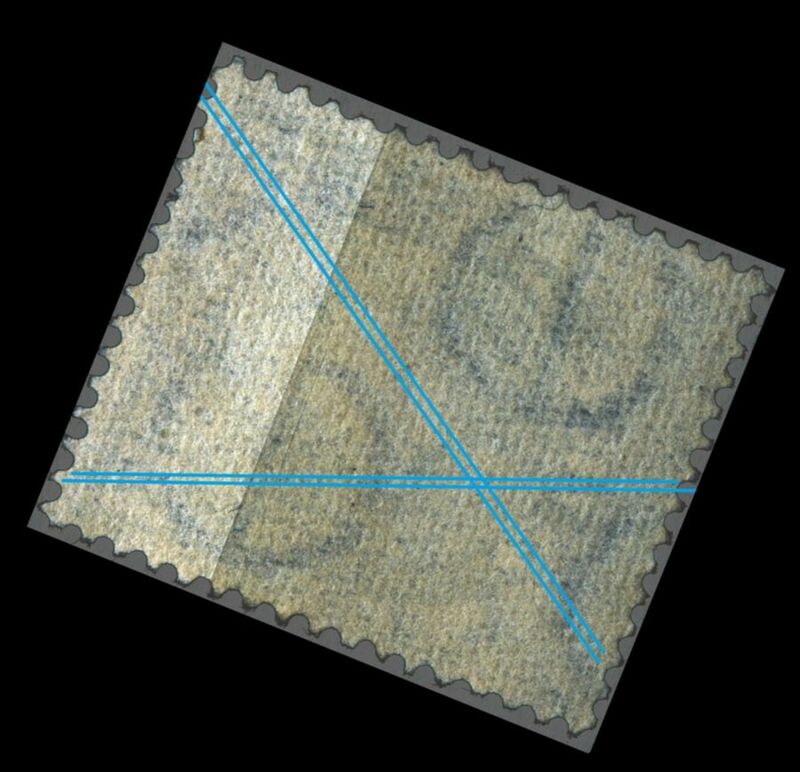 No tear and wear - just 3 [or 4] different size/shapes of the "e" watermark! 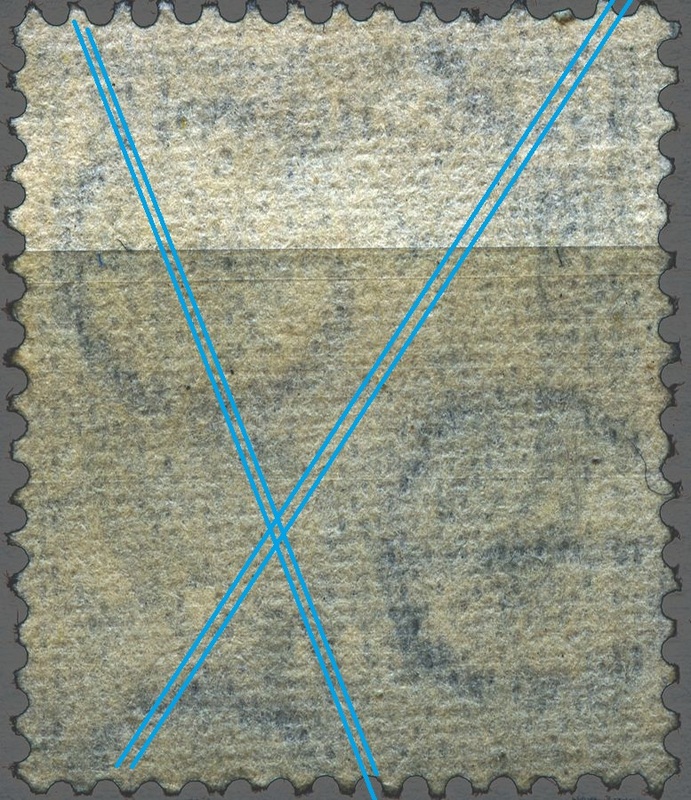 The second stamp shows very clearly the twill binding of the sieve of ther papermachine! If you do not see what the blue lines refer to! 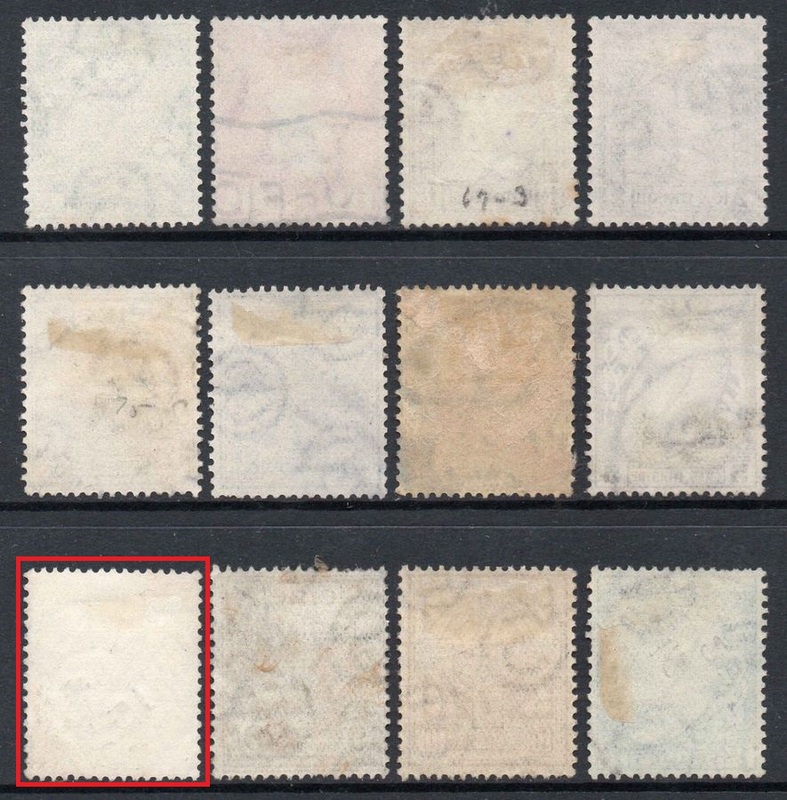 How can a respectable firm such as Stanley Gibbons claim such rubbish???? Different dandy rolls? OK, but just two? Shrinkage, pressure and machine speed? Why not in the 1922-1940 period with likely lower comfortable conditions?! The two in the middle show different heights and shapes! 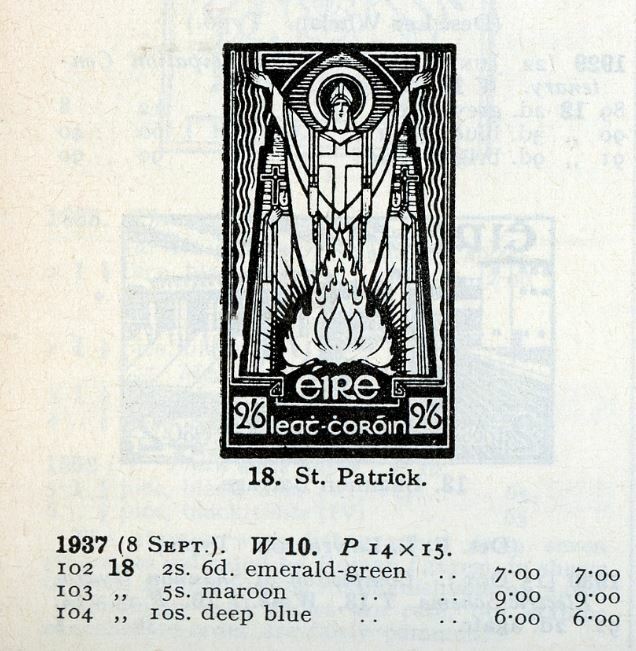 As to the colour of the papers, Murray Payne mentions the "cream paper" for just the "e" watermark. But the 6d is always different!!! Not as far as the front of the stamp but for the back! The watermark of the 6d seems almost invisible! 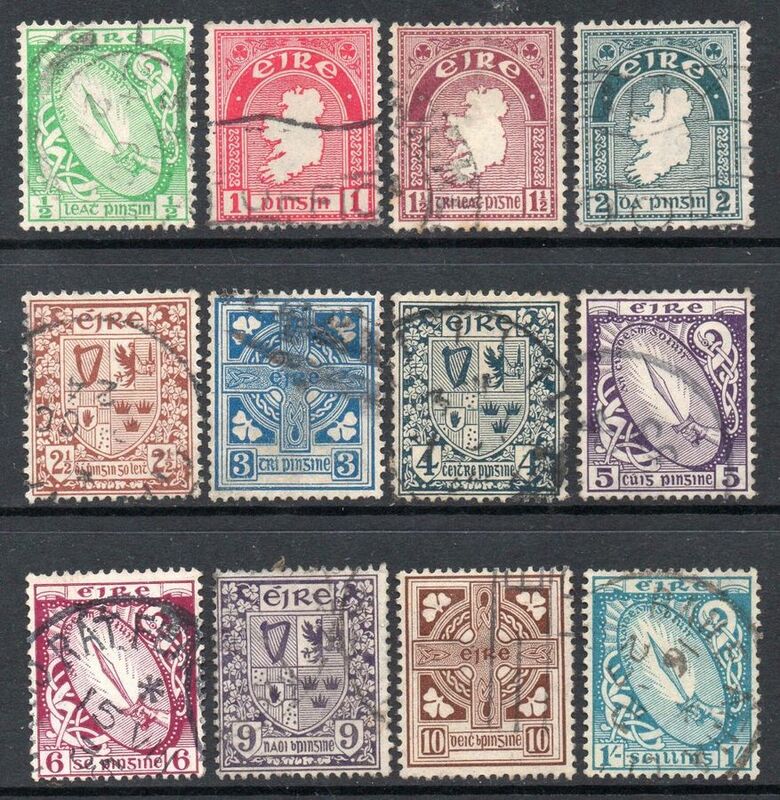 Mint stamps with different colours of the papers or so it seems! And still the watermark of the 6d hardly visible! Which one is the 6d??? 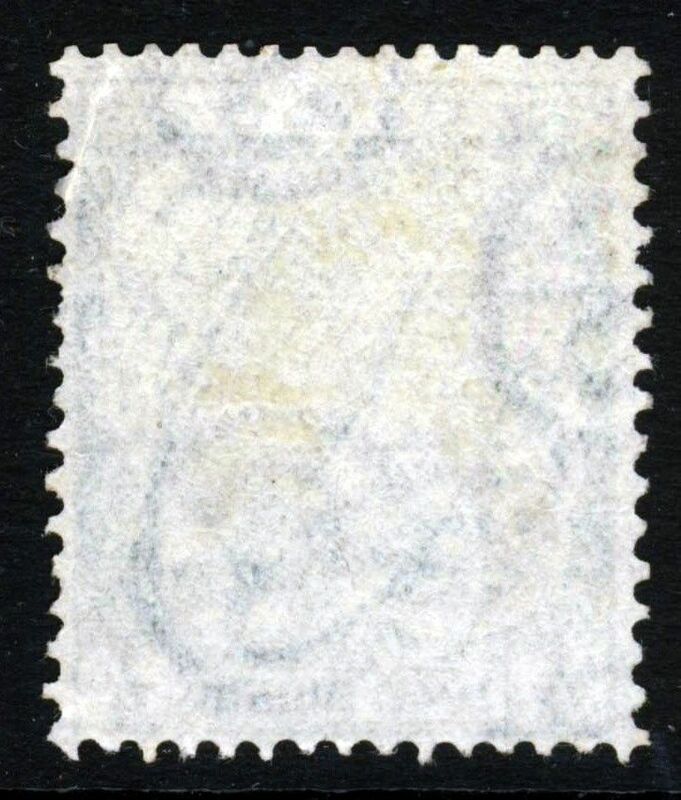 According to Murray Payne stamps also occur with inverted watermark! But is this really inverted???? The "S" normally has a bit larger lower half. Judging by the damaged teeth the turn-over is peculiar? 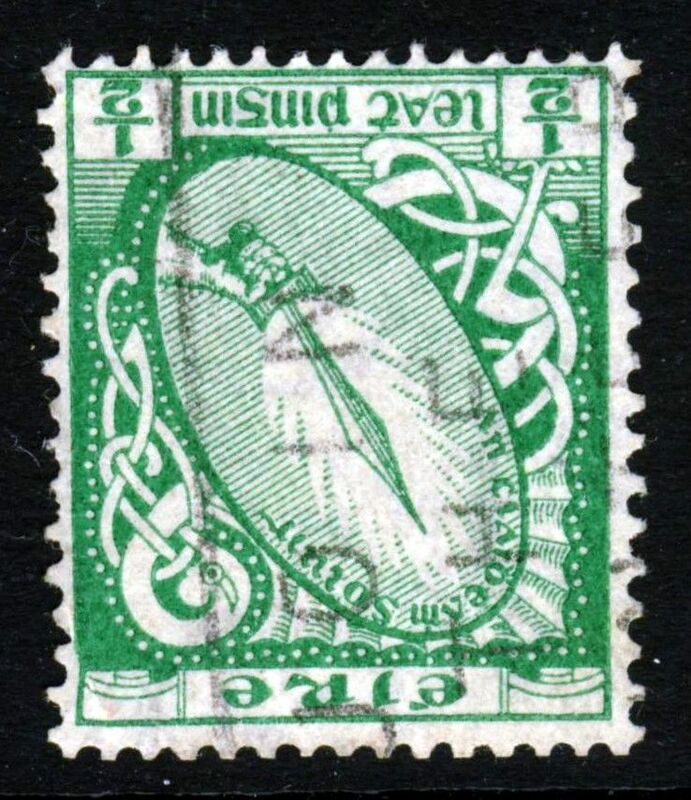 Or has the stamp been turned over along a horizontal axis?? Rein - your scan of the SG listing is very very old! 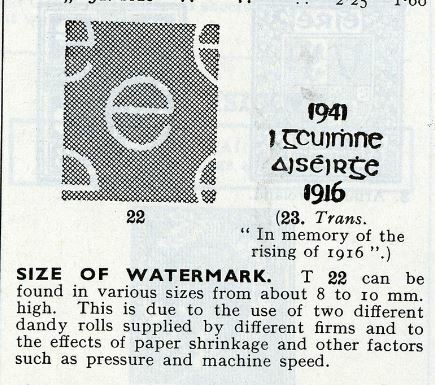 The statement in the current catalogue is the same about the dandy rolls. The inverted watermarks are all now listed in SG. 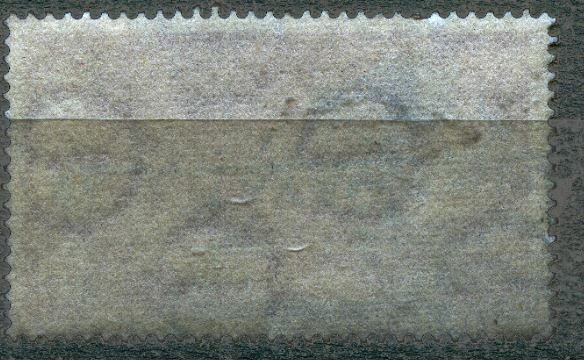 Chalky paper is now termed chalk-surfaced paper and the comment about it only responding to the chalky test has been removed. 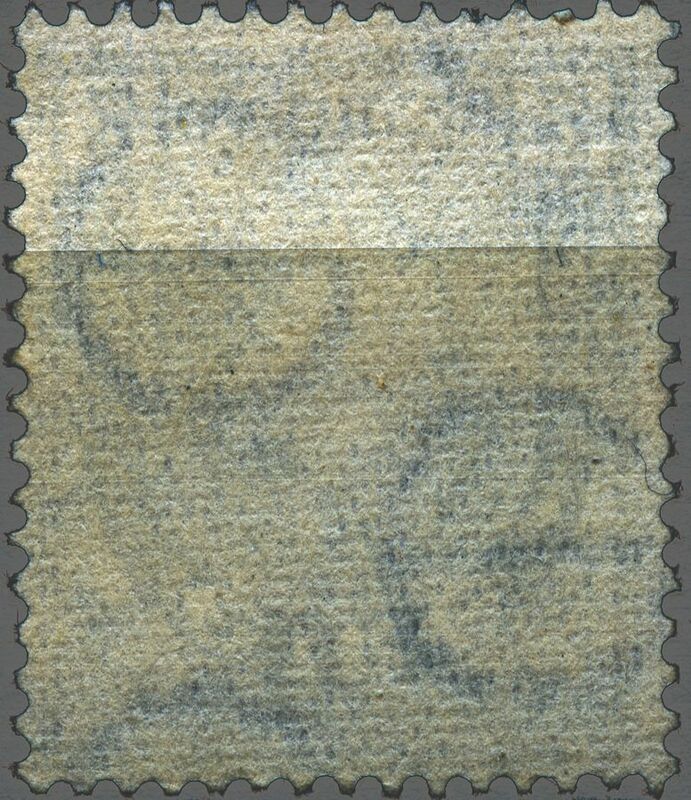 The cream paper 6d is not there, just the comment after the 1940-68 issue about a wide range of shades and also variation in paper in the issue generally. 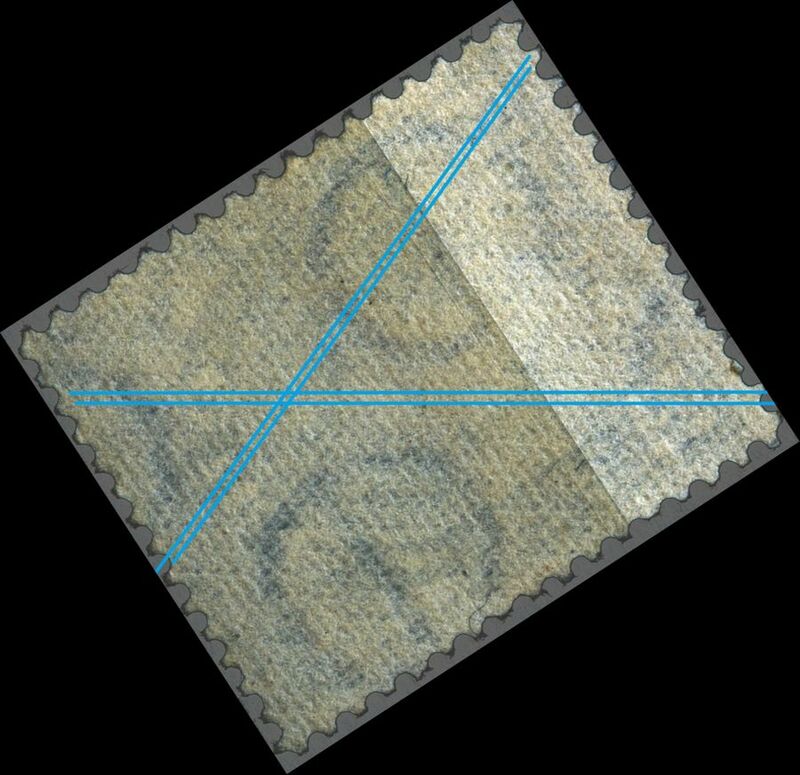 Perhaps the 6d only exists in cream paper whereas the other values are found with different papers. Does SG tells us what the different papers are? 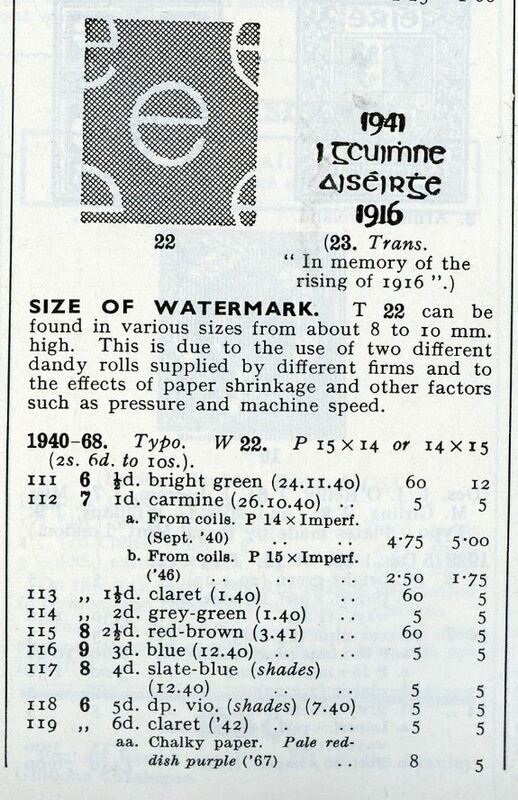 The original watermark "SE" with or less the same size circles/ovals! ?